New year, new experiences! 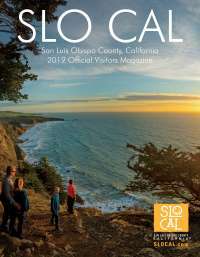 In SLO County (SLO CAL), there are plenty of ways to start 2018. If you&apos;re looking to get active, we have an activity for that. Want to feel refreshed and invigorated? The Pacific Ocean is calling your name. Begin your year with your favorite things or some of ours. Check out our list of 10 things to do in SLO CAL on New Year&apos;s Day. There&apos;s nothing like waking up your senses in the New Year with a running leap into the cold water of SLO CAL. Earn your Pier to Plunge beanie with a run down the beach and a plunge into the icy Pacific. Sign up now and kick off the Near Year the Pismo way. Whether you&apos;re a connoisseur or a novice, your palate could always use some more "education." Every good diet starts with one last brunch the day before - or at least that&apos;s how we do it in SLO CAL. From the classics to farm-to-table, restaurants countywide will be able to take care of your cravings. Winter is prime elephant seal viewing season so head up Highway 1 to the Elephant Seal Vista Point about 4 miles north of Hearst Castle. Watch as huge males battle in the water and on land for the affection of a female. 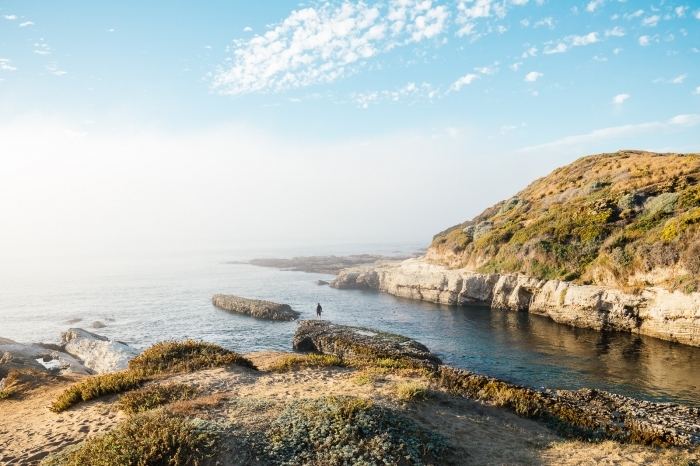 The kids will love starting off 2018 with a trip to Montaña de Oro State Park to check out what creatures lie beneath the waters. Head over to Spooner&apos;s Cove or Hazard Reef during low tide to view seastars, sea urchins, crabs and other tide pool dwelling critters in their natural habitat. More than a dozen walkable tasting rooms, cheese and olive oil shops, art galleries and boutiques beckon you in for a new year&apos;s treat in Paso Robles&apos; beautiful downtown park area. Thousands of migrating Monarch butterflies winter in Pismo Beach each year creating a spectacle for the eyes. As of December 4, the Monarch count is 14,000! If one of your New Year&apos;s resolutions was to get active in 2018 then we have the perfect place for you to start. The Harmony Headlands Trail is a steady 4.5 mile out and back loop. You’ll cross a grassy valley and end up on a scenic bluff (perfect for a family photo op). Bring a picnic and let the kids frolic in the coastal grasses and cool air as you sit on a bench and enjoy the views. Three-miles of beach is calling your pet&apos;s name! Soak up the rays and views while your pup makes new friends (and runs off some of that new year energy).